Home staging and styling is an art and can add significant value when it comes time to sell your property. Staging is the methodical process of preparing a property for sale in a way that will appeal to the highest number of buyers. By decluttering, depersonalizing, and enhancing the positive aspects of a property, staging encourages potential buyers to immediately visualize themselves living in the house. Pressure clean the driveway & exterior to remove debris, dirt and stains. Ensure the grass is neatly mowed, raked and edged. Add mulch to garden beds and add seasonal plants/ flowers. Add a flowering plant in an oversized pot at the front door to give a cheery feel. These four steps can ensure that your property appears easy to maintain, feels welcoming & gives a great first impression. Clean up dead leaves and bugs, trim trees and bushes, pressure-wash floors and stain decks. Freshen up gardens with mulch and seasonal plants. Create privacy screens to block any undesirable views. Add an outdoor table, chairs & bbq to create a sense of lifestyle. 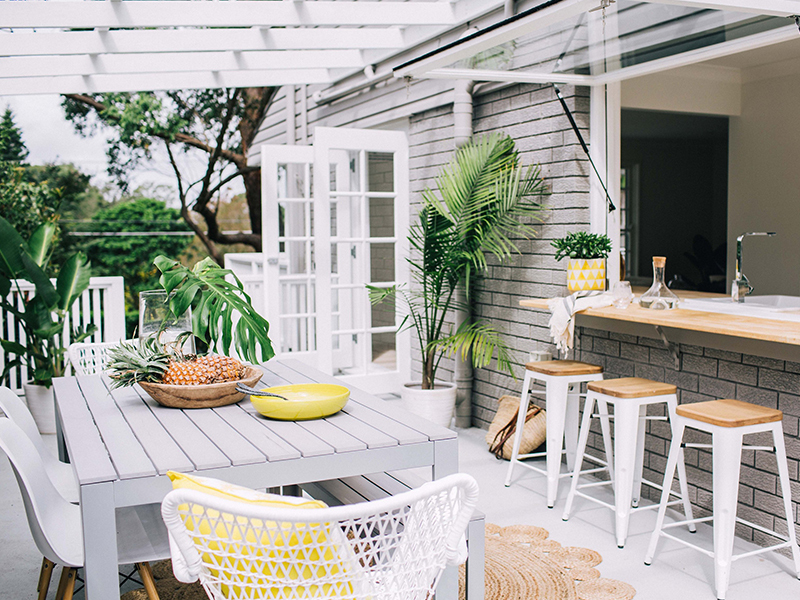 Add colourful cushions & oversized pots with plants for decoration. When staging and styling the interior, position your property on the market to be as liveable to as many people as possible. You can start with the below steps which makes a big impact on how buyers perceive your property. When painting the interior walls or replacing the carpet, select a natural colour scheme that will appeal to all buyers. Replace old fixtures and fittings to make the space feel fresh again. Declutter and spring clean EVERY ROOM! Remove all appliances from countertops to give a more spacious feel. 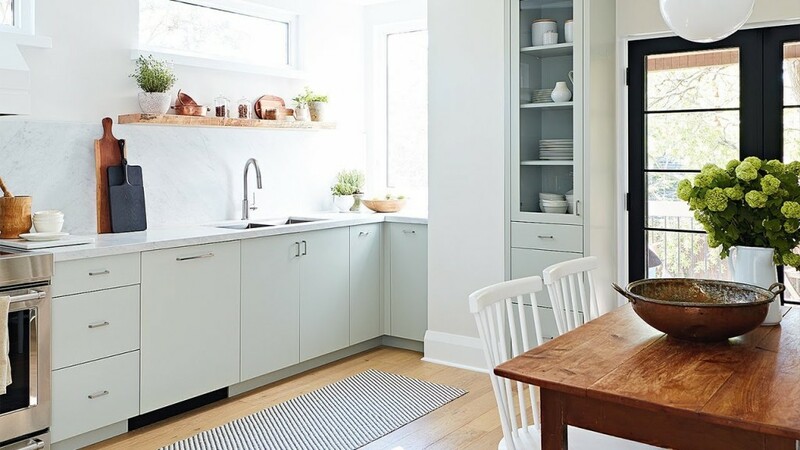 Remove dish rack, soaps, old dishtowels, rubbish and fridge magnetsto avoid clutter. Add decorative canisters, a bowl of fruit, pretty cookbooks and *new* tea towels to bring the space to life. If the kitchen has an island bench, ensure to add modern bar stools to create a sense of lifestyle. Choose a dining table to suit the space and minimise the number of dining chairs, as large furniture in a small dining room will diminish the space. If it is a large space, add a large rug underneath the dining table to add warmth, colour and texture. Add an attractive centerpeice arrangement to the dining table such as a runner and a vase of flowers to give the space style. Add artwork and plants to liven up the room with some colour.